What are The Advanced Concepts of On-Page SEO? 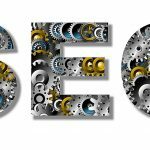 SEO holds great importance, especially when it comes to building up meaningful and searchable content for the readers. With this post, we target to put forth a framework which focuses on on-page SEO, using which optimizing can be made easy and a much richer content can be produced. Some of the key areas which should be given due consideration by local marketing companies Melbourne and other SEO companies while doing on page SEO have been listed down below. It does not matter which topic is chosen, or is written upon it is important to build up and discover relationships between each keyword, word and phrases. Writers play a big role in organizing words and presenting the same beautifully. While using keywords, it is also important to expand keywords and use phrases and concepts along with it. This expands keyword research on a search engine, enabling users to get through relevant content much easier. Position: Keywords should be placed in the right areas i.e. titles, headlines or in the main body. Frequency: Techniques like TF-IDF must be used to find out what frequency of keywords should be used and what the normal distribution is. Distance: Keywords and phrases which are related to each other must be organized close together. The best ways of building up distance are placing related concepts together in the form of paragraphs, content sectioning etc. Webmasters tend to forget the importance of linking; however, it plays an important role and enables build up relevancy of topic or page on a search engine. A different form of links can be created i.e. internal and external links. The links with anchor text is another way of influencing search engines and making website one of the highest ranked ones on search engines. The strong and relevant title which very well communicates what the content or article is all about. The introductory paragraph which briefs readers about what the page is all about. Organized content that is interesting and readable. Exploring different aspects of a topic and thinking of ways which can help individuals to relate to the topic. local marketing companies MelbourneListed above, are some of the key aspects of on-page SEO which must be given due consideration by local marketing companies Melbourne. For companies who are looking for best and marketable content, they can choose to hire Platinum SEO services. It is one of the leading service providers who are capable of meeting the needs of companies and giving them the best.